OBRO is one of the best appliance manufacturers in the market, and their products definitely stand the test of time with flying colors. 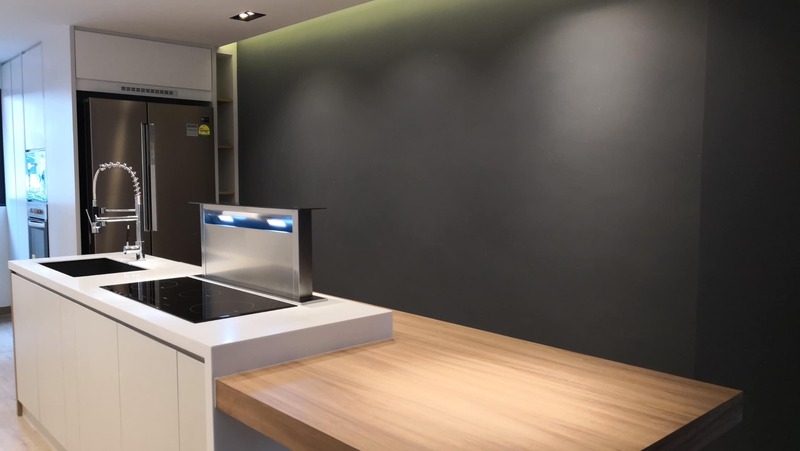 Featuring a fine range of Cooker Hoods, Induction Hobs and Integrated Sink Dishwashers, OBRO products are designed to be your state-of-the-art companions that make everyday life easy, convenient and visually magnetic. OBRO Hoods collection is incredibly attractive and features the latest technology all wrapped up in an exquisitely designed package. 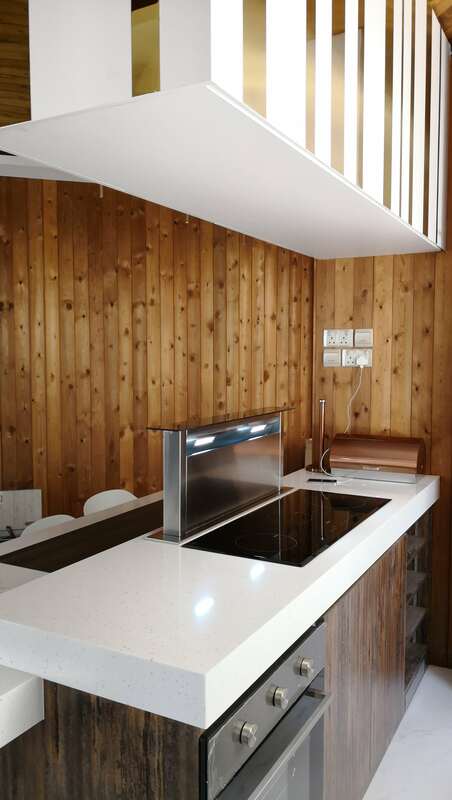 OBRO’s Downdraft Cooker Hood can definitely become the Pièce De Résistance of your kitchen. Not only they are stunningly crafted, but they also offer tremendous extraction solutions, advanced filtering systems and powerful airflow as well! Further, we’ll be taking a look at OBRO’s VORNEHM HD6 Downdraft Cooker Hood! OBRO’s VORNEHM HD6 Downdraft Cooker Hood! 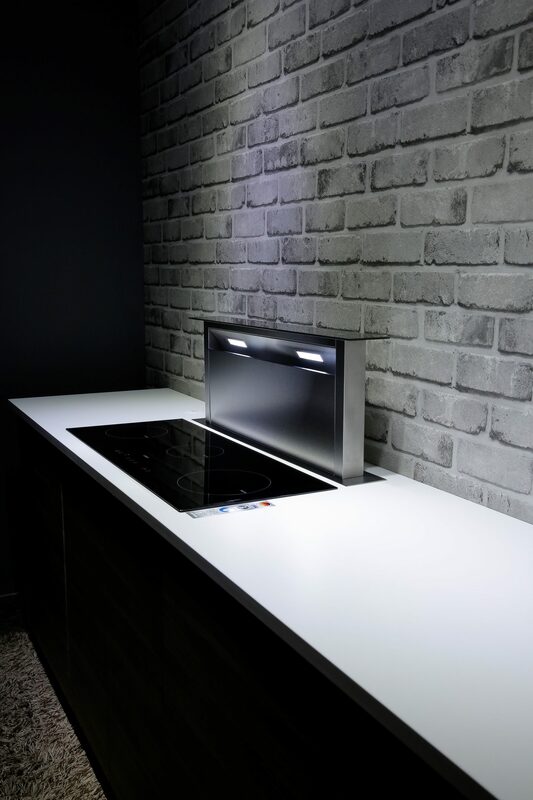 Good hygiene is always a must-have in all appliances that you use in your kitchen, which is why OBRO’s Downdraft Cooker Hood has been specifically designed to whisk away all odours and health contaminants released by cooking. Moreover, it does all that in an aesthetically pleasing waveform and improves air ventilation in your kitchen. 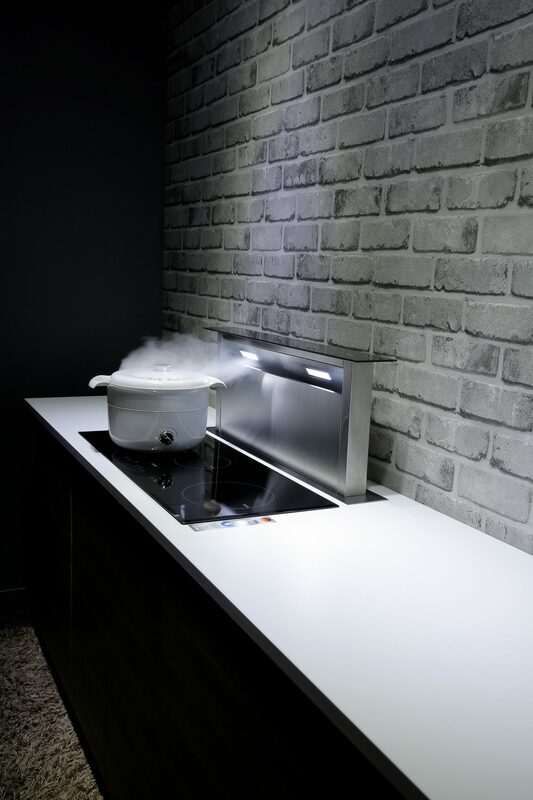 The OBRO Downdraft Cooker Hood has a very unique design. It features a stainless-steel body with a black glass panel that gives it a sophisticated and futuristic look. 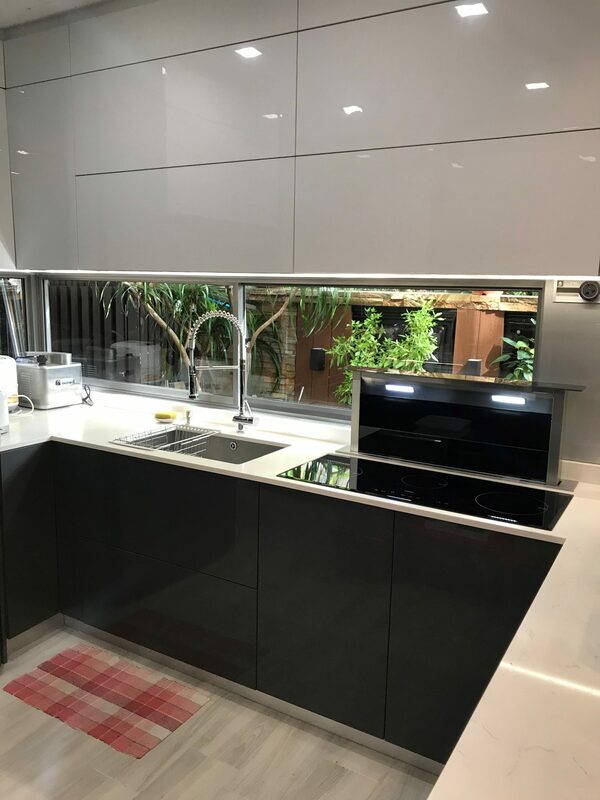 Furthermore, the sleek body of this Cooker Hood that allows the entire hood to be submerged underneath the cooktop, which emphasizes a gorgeous minimalistic look. Aside from its impressive strong airflow, OBRO Downdraft Cooker Hood is a state-of-the-art appliance. It boasts a slide, touch and remote-control operation that makes it highly simple, easy to use, cleaning and maintenance just at your fingertips. It’s ergonomic in all facets, which is one of its most excellent qualities. 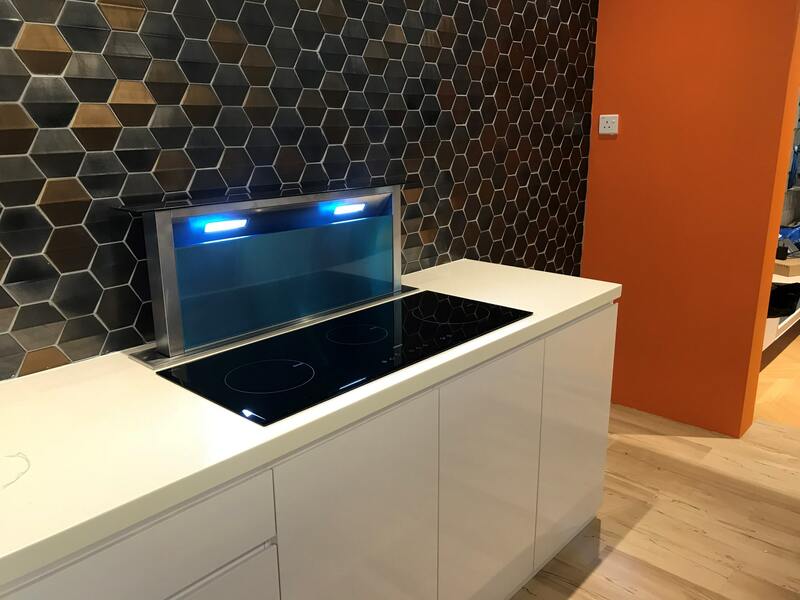 So, as you can see, the OBRO Downdraft Cooker Hood is an amazingly versatile appliance that will definitely bring your kitchen to a whole new level! Go ahead and check it out yourself now!